I, like many other people out there, am a major Maya Angelou fan. For those who don't know her, all I can say is she is just phenomenal. She has overcome a great deal of adversity to become the talented, prolific and spiritual woman that she is today. Her writing is very inspiring...it really captures the human spirit. She was raped and traumatized to the point where she did not speak for several years. Can you imagine being so hurt and emotionally disturbed that you stopped speaking? Years later, she became a "madam" in a house of prostitution. The madam is the woman who procures, men to pay for the services of the prostitute. She survived racism and being without loving parents. As an adult, she was a victim of domestic abuse and other poor treatment by men. She has seen it all. After having lived such a rough life, she got her college education, got married, had a son, became an influential writer (novelist, poet), professor and friend to many famous people, including Oprah Winfrey, Bill Cosby, Nelson Mandela and many others. Many people look to her for advice because they consider her to be a very wise woman. So I guess she knows quite a bit about human nature, such knowledge is priceless through out life. This is what she has to say about situations that teach you most about a person's character and how to recognise character traits. 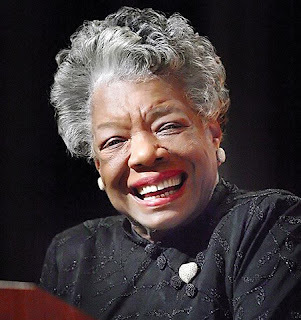 Maya Angelou says, 'I've learned that you can tell a lot about a person by the way he/she handles these three things: a rainy day, lost luggage, and tangled Christmas tree lights. 'She uses these observations as a test of a strong character. I guess Maya finds a rainy day boring, confining, disappointing, or uncomfortable in some way like many of us. When It Is Dark Outside What Is Going On Inside Your Mind? Forget all the Blackberry statuses like "Weather for two" etc when its a Monday morning and you are ready for work and you get into your car and the window isn't winding up properly and then your tyre goes flat and you realise you can hardly see because the AC is not working and the glass is all fogged up...You will know that rainy days are not that fun after all. Whether you are planning a day at the beach with the family, or you are a fresh graduate looking for a job, hopping from one bus to another, a rainy day can really spell disappointment and spoil your plans. Thus, this stressful time presents obstacles to keeping a sunny disposition and staying positive about life inside, no matter the weather outside. The second signature question that Maya feels will tell about a person's nature is 'lost luggage.' This presents numerous opportunities for a reaction. I bet some ladies are like " ...don't even go there!" But are the material things in the bag the most important of the trip, and can someone get along on the minimum or next to nothing? This might take a resourceful type. What if you lose all your clothes, personal items and even gifts for friends? Again, another disappointment and messed up plans. If you like to change into fresh clothing, this could be a challenge. How does one handle that? Are there others who will rally to the cause and help this person out? How does a person ask for help? A simple question brings up many tests in life. Loss of an anticipated vacation or grande time when traveling, or coming home and waiting to unpack all those lovely things delays fulfillment. Does one have the patience to wait for the lost luggage to arrive? Does one trust that everything always works out for the best? Tangled Christmas Tree Lights represents 'frustration' to me. Is there a way to untie this knot? Will I find a way out of this lost situation? Am I competent enough to solve this problem? Will I remain calm, cool and collected while everyone is waiting for me to celebrate and put up the lights? When will I realize they will never untangle and its time to toss them in the trash and just start fresh. For me this is very thought provoking. Holiday times can be stressful but some of us find its a way of giving of ourselves to make others happy and that makes it worth all the trouble, some of us hold our noses and wait for it to be all over. Either way, these reactions help while learning about a person's personality, coping mechanisms, reactions and skills in difficult stressful situations tells us their strengths and weaknesses. By all means it should only be a way to learn certain things but not to judge.